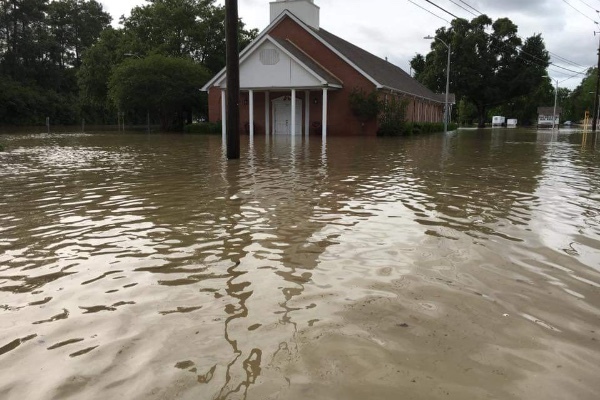 Monday, flood waters reached a disastrous high and flooded our historic church built in 1928 in Cypress, TX. Cost to rebuild is estimated to be at least 250,000 dollars. This Church has always been on high ground and never flooded before. 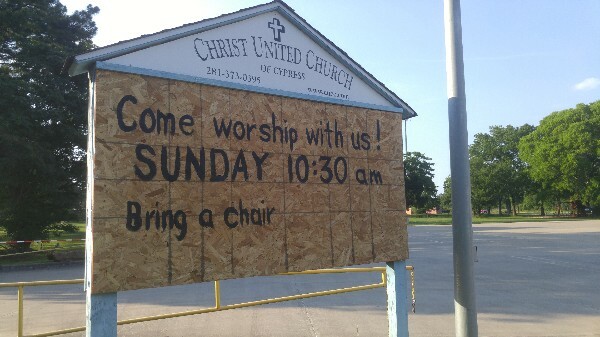 This is a small congregation with limited funds. Unfortunately , there was no flood insurance so the cost to repair will have to come from members and any funds we can raise to pay for the restoration. Any donations will help. God bless. God has provided the resources to fund our flood recovery! Praise God and thank you! I would like to state we are no longer accepting donations or funds to Christ United Church of Cypress "GoFundMe" account. Please keep Christ United Church of Cypress in your prayers. Many many thanks. 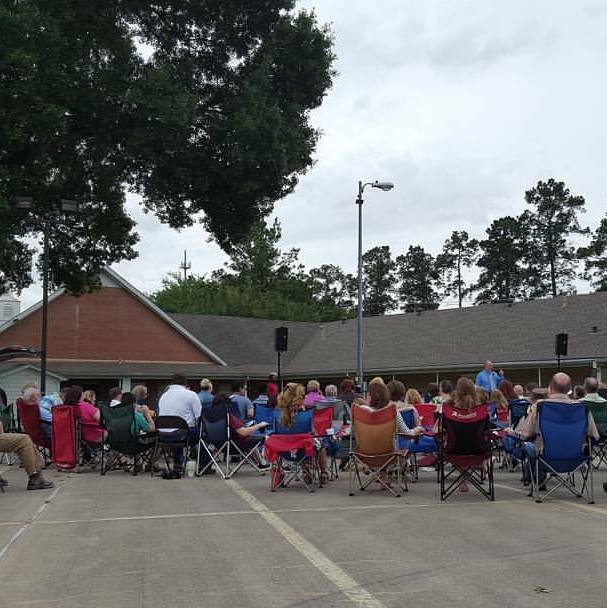 Sunday Worship continues.... God provided a blanket of clouds to shade our parking lot service. Read our updates on our Facebook page. 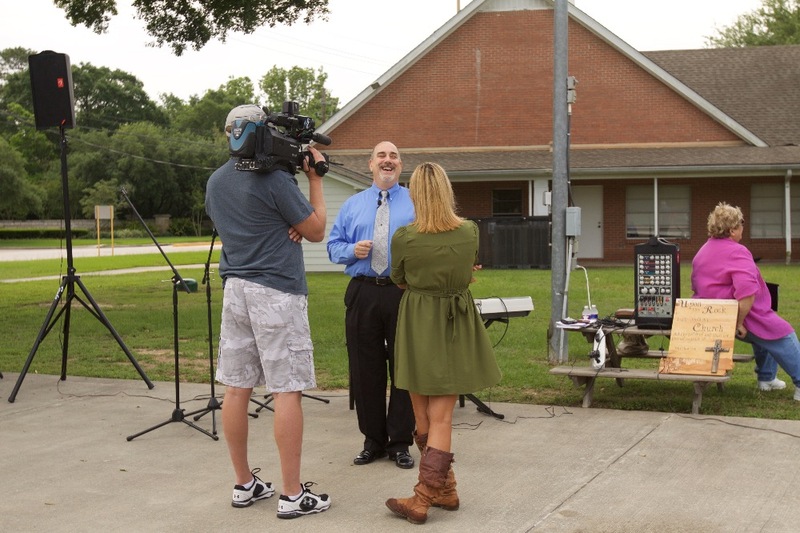 We thank Channel 13 as well as 11 and 5. 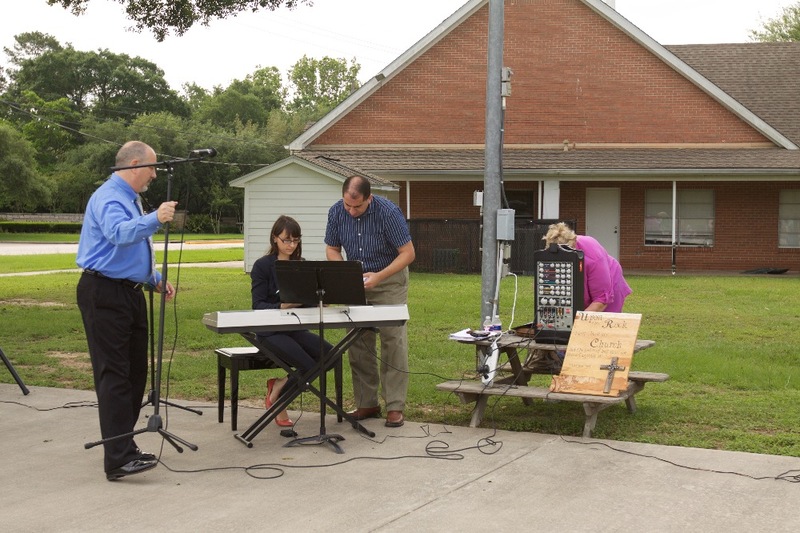 Join our church Sunday morning for worship and fellowship. 10:30. Bring your lawn chair. God Bless everyone who has given so generously.